"Sampath Speaking" - the thoughts of an Insurer from Thiruvallikkeni: Indian Railways ..... level crossings and 'mobile gate-keeper' !!! Indian Railways ..... level crossings and 'mobile gate-keeper' !!! 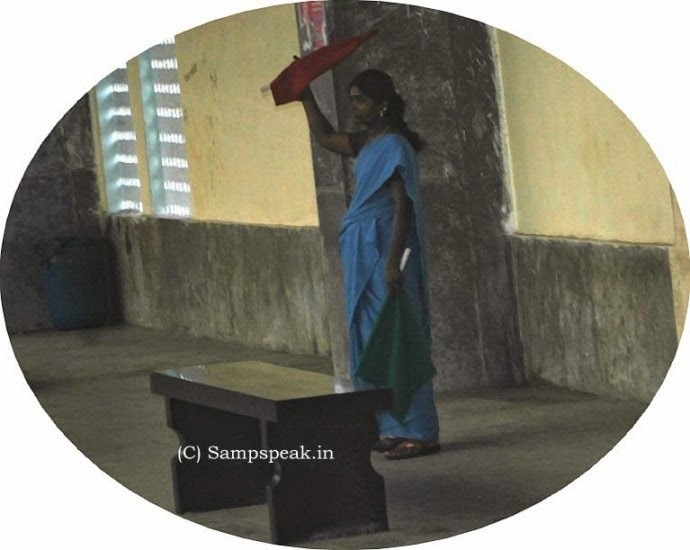 The other day as the MRTS coach passed Chepauk station, was surprised to see a woman waving a green flag (she was having a red flag too on hand) …. Have not seen this in Triplicane station though ! ….. till a couple of decades ago, when we journeyed by road, we had to wait in long queue in level crossings … inside city too – traffic snarls occur when trains passby..
All of us know that Railway signals exist – ‘the green and red lights’ are seen in every Station - Railway signalling is necessarily required to safely direct railway traffic - prevent trains from colliding and other accidents. Though trains move on fixed rails, the weight of trains and momentum makes it difficult to stop before reaching the impending obstacle. Most forms of train control involve movement authority being passed from those responsible for each section of a rail network. From the early days when rail cars were hauled by horses or mules, there have been hand signals. Railway signals are a means of communication beyond the range of the voice. The nature or appearance of a signal is its aspect, while its meaning is its indication. The most fundamental signals are the hand, or mobile, signals. They may be given and received by men on the ground, or on a train. By day, they are emphasized by a flag (or an object held in the hand), and by night, with lights. Signals convey lot of things : that the line ahead is clear (free of any obstruction) or blocked; that the driver has permission to proceed; the speed the train may travel and more .. they could placed at the start of a section of track; on the approach to a movable item of infrastructure, and at various points…. Some of the types are : Vane, Semaphore, electric, light, motion and other type of signals. Then there are level crossing – manned and unmanned – lots of accidents occur in the latter. A level crossing is an intersection where a railway line crosses a road or path at the same level, as opposed to the railway line crossing over or under using a bridge or tunnel. Early level crossings had a flagman in a nearby booth who would, on the approach of a train, wave a red flag or lantern to stop all traffic and clear the tracks. Manual or electrical closable gates that barricaded the roadway were later introduced. The gates were intended to be a complete barrier against intrusion of any road traffic onto the railway. ………… Besides manned and unmanned – there seemingly is another – the mobile guarded one too………. [quite surprising] to read this report in BBC of date. 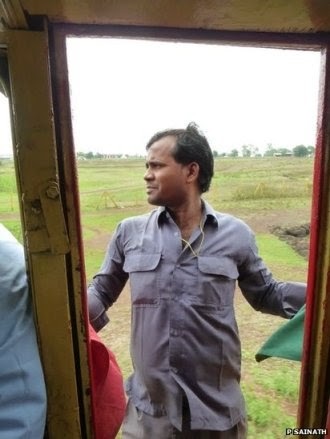 When Kanhaiyalal Gupta jumped off from the engine driver's cabin with a pair of red and green flags in his hands, we got off the slowing train too. What we did not expect was for him to shoot off across the next 200 metres like a sprinter. We ran behind him, stumbling on the uneven surface. Mr Gupta darted towards an unmanned railway crossing and waving his red flag, quickly shut and locked the gate there. Then he turned towards the train and waved the green flag. The train moved forward, passed the locked gate - and stopped again. Mr Gupta opened the gate and raced back to the driver's cabin, with us closely behind. He could do this up to 16 times over a distance of 68km (42 miles), on a one-way journey." It's what I do. I'm the mobile gatekeeper," he says. Some 11,500 of the more than 30,000 railway crossings in India are unmanned. Nearly 40% of train-related accidents and two-thirds of deaths on railway tracks - usually happens when people are crossing them - take place at these unmanned crossings. The railways' response has been to shut down as many unmanned crossings as it can rather than staff them with gatekeepers. Or to create 'mobile gatekeepers' like Mr Gupta to do the work of many. In the early stations on the route, a "mobile gatekeeper" can board one of the rear coaches after seeing the train through at one of the railway gates. With the train yet to fill up, he can sit comfortably. As the train nears Raipur, though, he hasn't a chance of squeezing in. So he has to run up to the driver's cabin and stand there till the next railway gate. 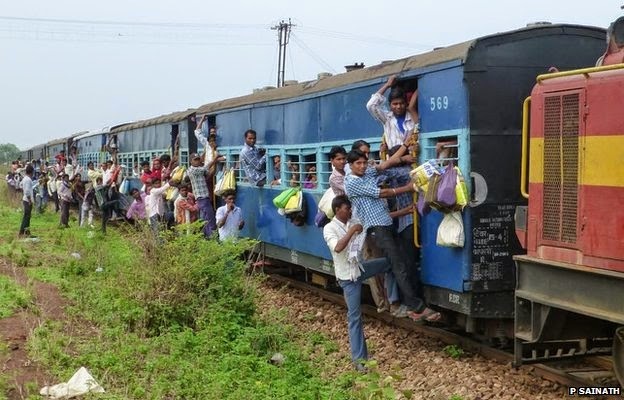 India's state-run railways runs more than 12,000 trains, carrying some 23 million passengers daily. The "mobile" role Mr Gupta has been given is a way of keeping recruitment down, unions say. Mr Gupta, is reported to be totally focused on his work, readying for the next gate ~ and many of us complain that we are doing difficult work daily. Credits : the info on mobile gatekeeper extracted from a report in BBC.